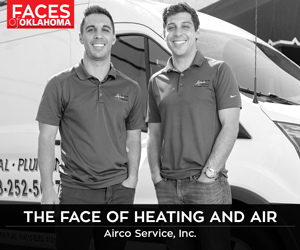 The professionals honored in Oklahoma Magazine’s 40 Under 40 Class of 2019 exemplify leadership, both at the office and in the community. These are Oklahoma’s mavericks – innovators who go the extra mile, disrupt the status quo, push to improve the state and guide others by unwavering and fierce example. These leaders run the gambit of professions – from an entrepreneur, nurse and professor to doctors, lawyers and company presidents. The future looks bright for Oklahoma – and it’s thanks in part to these game-changers. We celebrate them here. 40 Under 40 honorees are unranked and presented in no particular order. 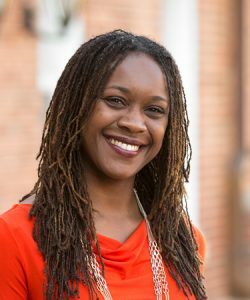 Alexis Smith Washington wears many hats – she is an undergraduate professor of diversity and inclusion and human resource management; she is a researcher with academic peers; and she is a collaborator with her colleagues at OSU. Although she interacts with a wide array of people, one group sticks out. “I hold a special place in my heart for the undergraduates, who are at a pivotal point in their lives,” she says. “Along with our wonderful staff, we professors are entrusted with helping them to develop the tools they’ll need as they transition to adulthood. 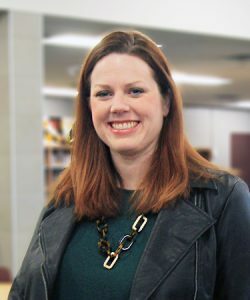 I love watching their journey.” Outside the classroom, Washington dedicates more energy to this group by “giving time on evenings and weekends to attend student events, mentor student groups and give back to the kinds of student organizations that shaped my life.” Washington, who earned tenure last year, loves to spend off-the-clock time with her children. “I find that developing them into fully formed adults is my most pleasurable activity,” she says. 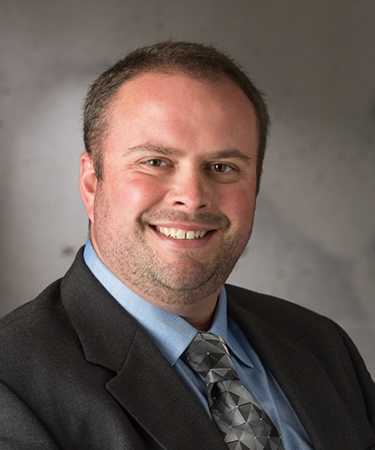 Project executive, Nabholz Construction Corp.
Michael Feamster ensures the success of his Nabholz projects by providing support to his teams, interacting with clients and engaging in the communities where the company builds. “I love establishing longtime, meaningful relationships,” he says. “Heavy commercial construction provides the opportunity to solve problems and create cohesive, winning cultures. Partnership in vision and execution – construction is awesome.” If he weren’t a project executive, his interests would vary; he says he would be involved with international law or “a coffee roaster or fighter,” as he is well-versed in mixed martial arts. Volunteering, which Feamster calls “humbling and encouraging,” is an important part of his life; he spends time at his church, Habitat for Humanity and the The Prince’s Trust, among others. 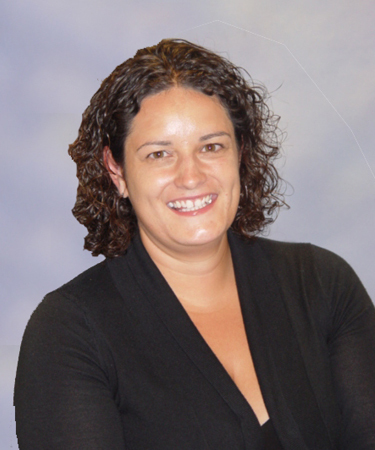 Feamster speaks Spanish fluently and has lived in Spain and the United Kingdom. He is married with three kids, with a fourth due this year. He looks forward to Tulsa’s developments, including the USA BMX headquarters and the Oklahoma Pop Culture Museum, both of which he’s involved with through Nabholz. 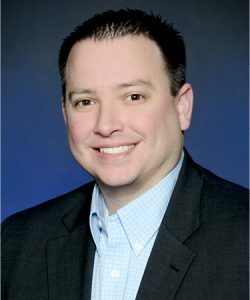 Timothy Hicks manages two health-care facilities for the Muscogee (Creek) Nation; designs and implements business strategies; sets comprehensive goals for growth; assists the tribe’s secretary of health; manages relationships with vendors; and establishes policies that promote the tribe’s culture and vision. “I love working for the community that I was born and raised in,” he says. 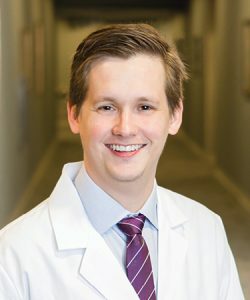 “It makes me proud to know that our hospital is increasing the quality of life within our community and providing top-notch health care to our citizens.” It’s been a good year for Hicks; he received his Master of Business Administration and helped to lower emergency room wait times at the facilities he manages by 54.8 percent. Hicks says not checking off everything in his daily planner often keeps him up at night, but golf is a great stress reliever. “It also allows me to keep my competitive passion – I hate to lose,” he says. Hicks volunteers at the Glenpool Chamber of Commerce and sits on the health advisory boards for Northeastern State University and the Central Technology Center. He and his wife are also avid Criminal Minds fans. “You could say we’re both qualified to be detectives at this point,” he says. 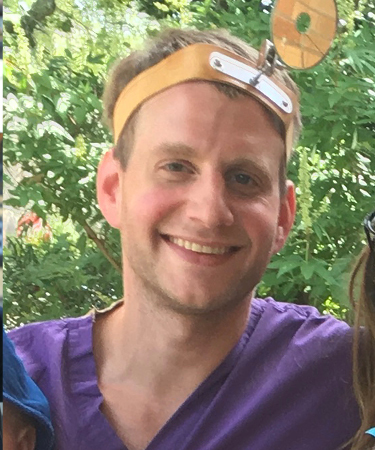 Brandon Miller works in the financial wing of Vizavance, a nonprofit whose focus lies on advancing children’s education through better eyesight and vision. Miller makes those goals a reality through fundraisers, writing grants and building relationships with donors and foundations. “I love that at my job, a day never repeats itself,” he says. 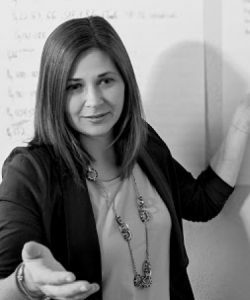 “It is constantly evolving and very socially based. 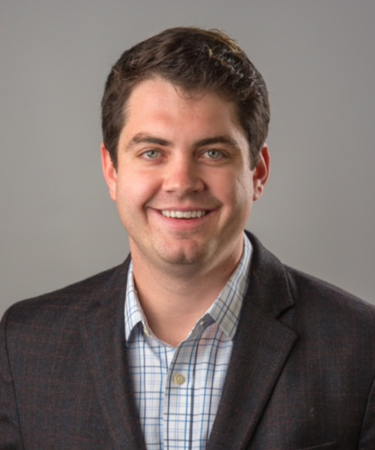 I am a people person and I thrive on interaction with others.” After college, Miller spent more than eight years in health-care marketing and sales before landing in the nonprofit sector, where he feels he’s making a difference in society. “Knowing that the work I do allows us to impact over 325,000 children in our state every year makes all of the hard work worth it,” he says. Tulsa CARES and Tulsa Day Center for the Homeless are two of various nonprofits Miller supports in his free time; he also plays in a kickball league, enjoys photography and spends time at Grand Lake. John Krenger knew he enjoyed financial analysis at a young age – and the passion stuck. “My favorite class in high school was economics, so I knew I wanted to pursue an economics or finance degree in college,” he says. 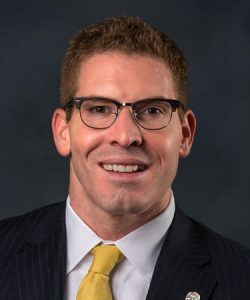 At Bank of Oklahoma, Krenger spends his time “selling financial products to upstream and midstream energy companies headquartered in Oklahoma,” and splits the day between financial analysis and communicating with his clients – a happy medium. Although Krenger has found meteoric success at work, his family comes first; he says his best experience this past year was “finding out that we’re expecting our second baby girl” with his wife. Krenger enjoys football, time spent with family, walking his two huskies and volunteering with Allied Arts, the Wes Welker Foundation and the United Way of Central Oklahoma. Krenger says the volunteer opportunity that stuck with him the most was coaching the Bishop McGuinness junior high football team. “It taught me great lessons on how to be a leader that is motivating, understanding and fair,” he says. Anthony Hendricks knows exactly how to help his clients with a wide array of issues, whether they’re cybersecurity, criminal, banking regulatory, internal investigation or environmental compliance. 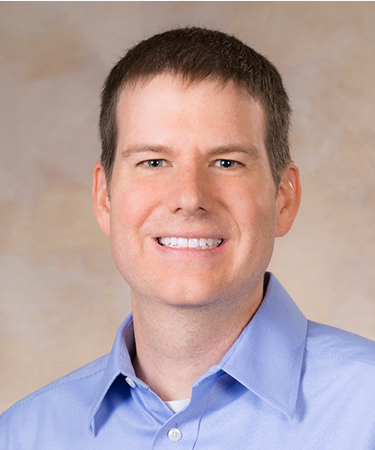 A lifelong problem-solver, Hendricks enjoys helping people fix their looming legal issues. “When people call lawyers, they are often nervous and stressed,” he says. 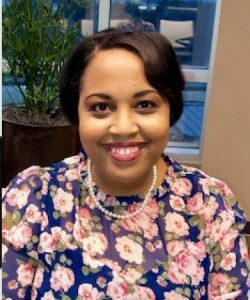 “It brings me a lot of joy to be able to help ease that burden.” The bug for law came early – in elementary school – when Hendricks read a book about Thurgood Marshall. 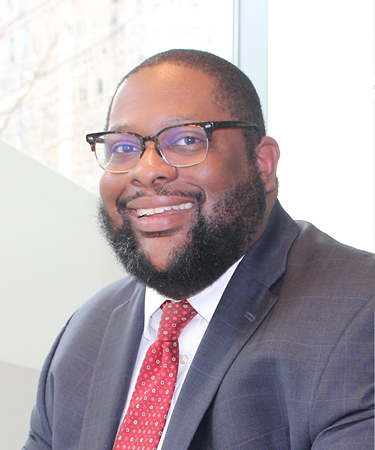 “Since that day,” he says, “I knew I was going to be a lawyer.” Over his career, Hendricks has enjoyed many highlights, but his first pro bono case sticks out as a favorite. 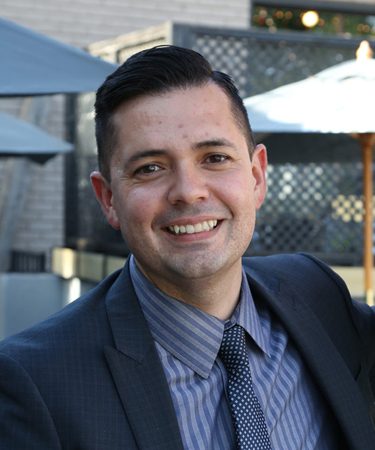 “I helped a formerly homeless naval veteran deal with a family law case,” he says. “It was not a big case, but to see how thankful she was after we finished the case … showed me how the law could help improve people’s lives.” Outside work, Hendricks is passionate about helping people with the Health Alliance for the Uninsured. 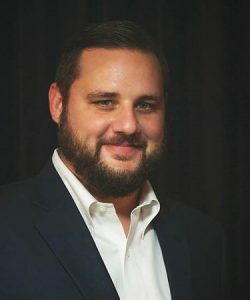 Construction superintendent, Manhattan Construction Co.
As a senior superintendent at Manhattan Construction, Jason Schafer manages the construction of projects around Oklahoma from start to finish. Between scheduling contractors, coordinating schedules and updating clients, Schafer is busy from dawn to dusk. His favorite part of the job, he says, is “being outside and helping manage people who are working on the project. Because it is face to face, you naturally become more personable with employees, clients and vendors.” He loves grand openings and “seeing the look on everyone’s face when they walk into a new building for the first time.” Outside work, Schafer spends a lot of time volunteering, especially with the Ronald McDonald House, which helped Schafer and his daughter after she was born with a congenital heart disorder. “They are an amazing organization,” says Schafer, adding that the best part of the last year was his daughter’s positive heart exam. 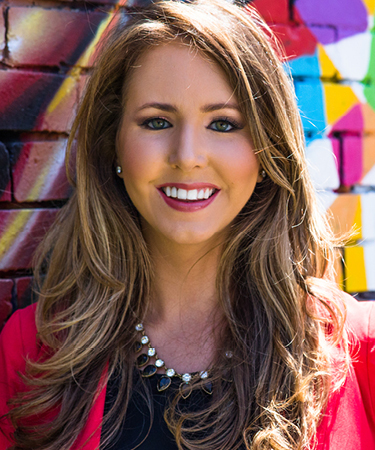 Brittney Wycoff loves to learn anything new, and her job at HoganTaylor keeps her on her toes. “I love that no two days are the same,” she says. “And I love that I get to spend my days with amazing clients and colleagues.” From audits to other attestation services for companies and organizations, Wycoff is continually intrigued by her job. “Whether it’s learning how to implement a new accounting standard, learning about a new client or industry, learning new technology, I’m constantly learning,” she says. With all that acquisition of knowledge, days can get stressful, but Wycoff has the remedy. “For me, a trip to Office Depot or the office supply section of Target is the perfect way to relieve stress,” she says. “Somehow, a new pen, pencil, folder or pad of paper completely relaxes me. Is that normal? I might be a little obsessed with office supplies.” Wycoff serves as board president-elect and treasurer for Parent Promise, which helps to prevent the neglect and abuse of Oklahoma’s children through parent education and support. She also volunteers through her church. “I’m just fortunate to be able to play a small part,” she says. If she’s not volunteering, working or on the hunt for office supplies, Wycoff binge-watches reality television. “Big Brother is my favorite. I’ve watched every season but one,” she says. Alicson Scott is the patient’s advocate for the Chickasaw Nation Department of Health. She coordinates events, tours and celebrations for the tribe; oversees the operations of Chikasha House; and manages hospitality services and customer relations at the Chickasaw Nation Medical Center, among other duties. 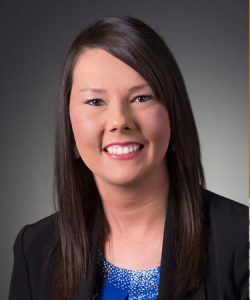 Her favorite part of the job is “seeing the mission of the Chickasaw Nation – to enhance the overall quality of life of the Chickasaw people – being met every day. Working in my role, I am able to see how the Chickasaw Nation Department of Health meets the mission. It is what drives the Chickasaw Nation. It is our standard, and I get to see how our employees do that every day.” A proud Chickasaw, Scott loves her culture’s core values – so much so that she has worked for the Nation for nearly 20 years. “Seeing the growth from when I began to now has been amazing,” she says. Scott leads with empathy and finds that being flexible and consistently fair with people leads to a successful environment for everyone. Outside work, Scott works as the children’s minister at her church. “The kids who attend … are very loving, and seeing them grow in their relationship with God is very rewarding.” Scott is a mother, an avid OKC Thunder fan and a gardener. Lee Timmons works every day to make sure the employees at Cowen Construction feel seen, heard and appreciated. From recruiting and training to ensuring the company keeps in line with employment regulations and handling benefits packages, Timmons does it all but is quick to point out that it’s a team effort. 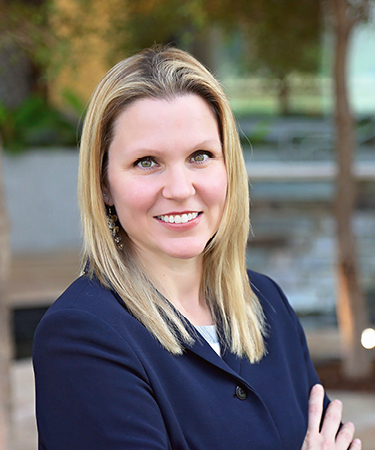 “Together, we get to improve how our employees experience their careers with Cowen, and in turn, how others experience Cowen through our team members.” Timmons is passionate about helping people reach their full potentials, and to reach that objective, she’s implementing a new professional development program at Cowen. “We are working with our team members to help them develop their skills to achieve their goals,” she says. 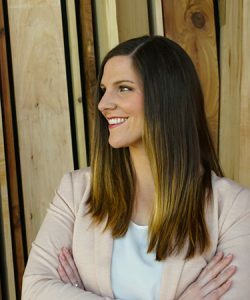 “We are not just aiding the development of their professional skills, but also the involvement in our industry and community.” Timmons is a family-centric person and enjoys the creativity her husband and children instill in her life. “I feel this only encourages my desire to think outside the box, develop new ideas and create processes to help our team,” she says. She spends her free time volunteering with Bixby Public Schools, Bridge the Gap and Global Gardens. Whether it’s custody disputes, adoption, divorce or other juvenile matters, Kyle L. Endicott acts as an advocate for his clients and children caught in the middle. “I love to figure out the puzzle of a case and how I can advocate for the best result for my client,” he says. “It’s also very rewarding when you see families come together in something like an adoption. The law is a fascinating field of study and intellectually challenging, and I firmly believe that everyone deserves the right to have at least one person by their side in a legal dispute.” Outside the office, Endicott is passionate about advocating for children “marginalized or caught in the crossfire of domestic situations.” He spends time at Big Brothers Big Sisters of Oklahoma, the Muscular Dystrophy Association and his church. 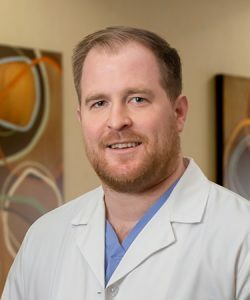 His favorite stress relievers include outdoor sports (such as mountain climbing and snow skiing), building furniture, cooking and spending time with his children. “I’m always looking forward to seeing my kids at the end of the day,” he says. “They’re still young enough to greet me at the door each day I get home.” Endicott believes he’s the most likely person in a situation to remain calm and the best advice he can give is to “stop caring what everyone thinks of you.” The best advice he has received is a bit different – “Marry a woman smarter than yourself,” he says. 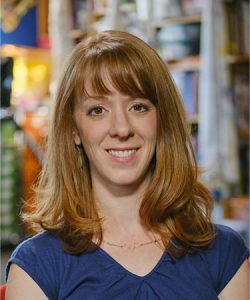 Mixing science, food and relationships, Claire Gish manages the nutrition department at the Laureate Eating Disorder Program. Along with overseeing dietitians and culinary staff, Gish works with a full caseload of patients. 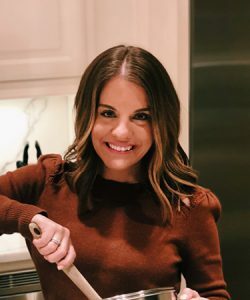 “I assist them in achieving medical stabilization, as well as challenging their maladaptive behaviors around food, negative food beliefs and rules, cooking and grocery shopping skills, and body image concerns,” she says. She also lectures frequently on nutritional rehabilitation. Gish enjoys being part of her patients’ physical and mental healing processes. “Food plays such an intricate role in relationship and community, so through the treatment process, these individuals literally are learning to taste life again,” she says. 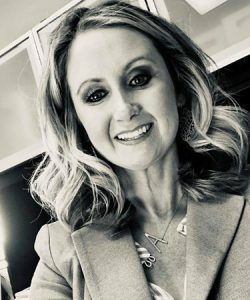 “It is such a blessing to witness an oftentimes lost, scared and hopeless individual come to life again through nutrition.” Gish serves on the board of the Oklahoma Eating Disorder Association and believes “balance and self-care” are the keys to a successful life and career. A Dallas native and Tulsa enthusiast, Gish loves spending time “trying new restaurants, coffee shops and exploring new attractions in Tulsa” with her husband. 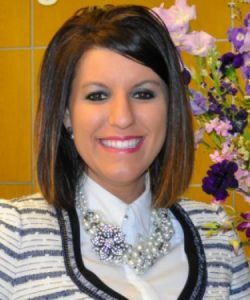 Rachel Henderson has a full plate – from assisting Tinker Federal Credit Union’s clients in realizing their financial goals to increasing community awareness of the credit union and providing top-notch service to her team and customers. 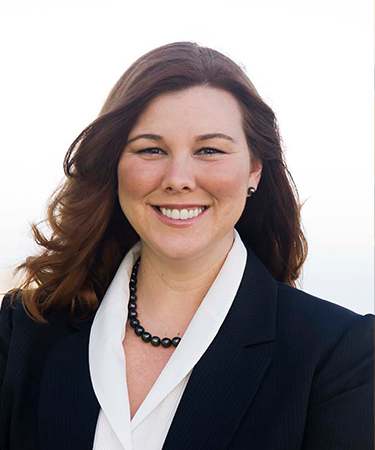 Henderson loves Tinker Federal’s focus on improving the community and the variety of situations she encounters. “One day I might be in back-to-back meetings with community partners, finding ways that I can support their team, and the next day I might be walking in a parade handing out candy, or presenting a sponsorship check at a local basketball game,” she says. Outside work, Henderson enjoys sporting clays, volunteering with Pets and People Humane Society in Yukon and spending time with her mother, who was diagnosed with lung cancer last year. “She has been living with me full time since she was diagnosed,” Henderson says. “I think my greatest achievement at work would be my ability to balance caring for her full time while still successfully doing my job.” Henderson finds success in her ability to laugh at herself. “I think sometimes, when we take ourselves too seriously, we can lose sight of the big picture and all the progress that has been made,” she says. 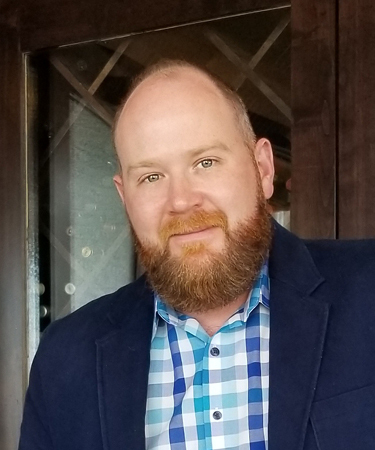 Information technology director – architecture, Matrix Service Co.
Julius Hughes develops and executes an enterprise-wide IT application and infrastructure architecture strategy. 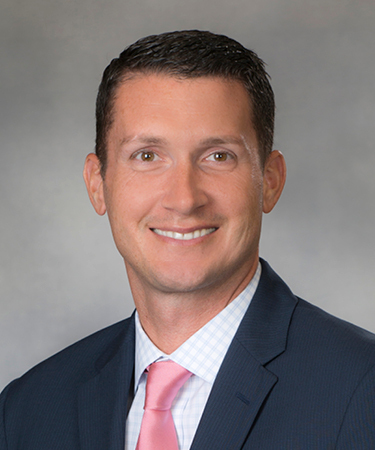 “My role is to act as a trusted adviser, building and maintaining relationships with our business leaders to develop a clear understanding of their business needs, then setting a clear vision while motivating employees through the execution process,” he says. He loves collaborating with colleagues across the company and “the ever-changing dynamic of technology,” he says. “There’s an excitement and sense of accomplishment to be able to contribute in driving technological innovation.” Hughes believes a singular phrase drives his work ethic: “There has to be a better way.” He says, “Technology was a great outlet for me to apply this way of thinking, given that technology is all about making humans faster, smarter, safer, and ultimately enabling us to do things better than they would be able to do otherwise.” Outside Matrix Service Co., Hughes is passionate about philanthropy. Along with Night Light Tulsa, 501Tech and the Tulsa Area United Way, Hughes dedicates time to the Tulsa Boys’ Home. “I found myself being changed by the stories of struggles and triumphs by these young men,” he says. His other interests include spending time with family, restoring his 1986 Chevrolet SS Monte Carlo and hiking – he and his wife climbed Mount Liamuiga on St. Kitts. A self-described gatekeeper, Amber Edwards is the right-hand woman to the highest-ranking personnel at Cherokee Nation Businesses. She serves as the primary point of contact for internal and external contacts on all matters affecting the CEO and acts as the liaison for the board of directors, tribal council and Cherokee Nation administration. “I like the versatility of my position and our company,” she says. “Cherokee Nation Businesses covers areas … such as federal contracting, engineering and manufacturing, technology, construction services, management and consulting and, of course, our entertainment and gaming businesses.” She is proud in “knowing the impact that our company has on the citizens of Cherokee Nation and the state of Oklahoma through our economic impact.” After receiving a collegiate scholarship from the Cherokee Nation, helping her graduate debt free, Edwards “wanted to, in a way, pay them back for the assistance I received. 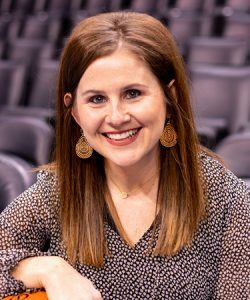 Becoming an executive assistant was a natural career choice for me – I love being part of something bigger than myself but I don’t particularly enjoy the spotlight.” A mother of three, Edwards enjoys OKC Thunder games, volunteering at her church and managing youth soccer teams. Freestyle Creative, a full-service marketing agency, helps clients with strategy, advertising, web development, video production, public relations, branding and graphic design … and Kelley Gann oversees all of it. 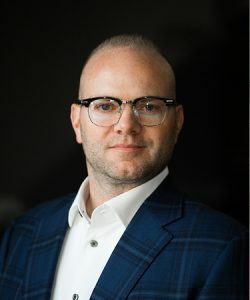 What started as a CEO and president in 2014 has grown to a team of 12 and morphed from a company producing independent films to a full-service agency. “I was drawn to my profession because I’m a strong balance of both right brain and left brain,” Gann says. 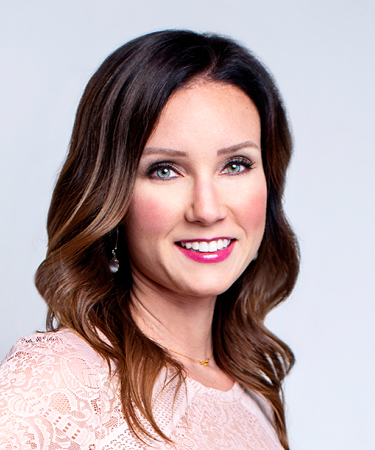 “This industry values my strengths on both the analytical and creative sides.” There’s a lot to love about her job, but Gann says her primary motivations are “my amazing team, my clients and seeing the community that I love grow and thrive. 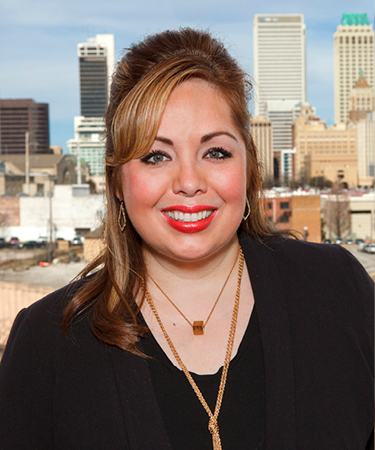 I get to lead a fantastic team that continually strives to make a positive impact in the community through our work.” Her passion for advertising shines outside the job as she serves as the president of the American Advertising Federation of Oklahoma City. 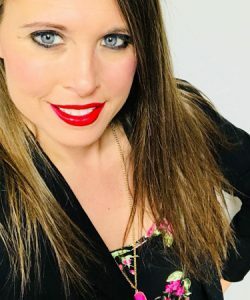 She spends time volunteering with the Oklahoma City Cancer Society and, as a member of the Screen Actors Guild-American Federation of Television and Radio Artists, loves to act. As a personal injury trial attorney, Jordan Klingler represents individuals who have been harmed or wronged by others’ negligence. From working on claims to litigation and even trials, Klingler works hard to advocate for her clients and get them what they deserve. 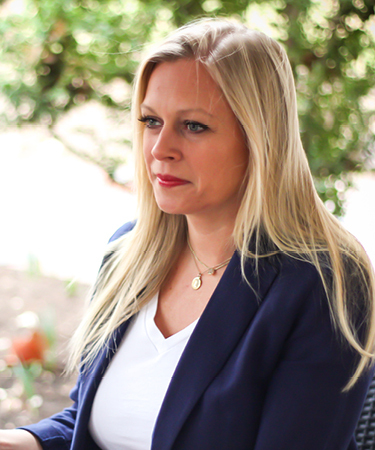 “Since my clients are often at their lowest point due to injuries that often result in financial uncertainty, it is very rewarding to be able to work for them to get them fair compensation,” she says. “At the close of a case, there is nothing better than seeing the relief my client has and the smiles knowing that they can move forward. Growing and learning as a lawyer has and does bring me great personal satisfaction.” Klingler takes her legal expertise outside the courtroom by volunteering with Lawyers Fighting Hunger and writing a legal column about pets (and donating her fee to local shelters). She also spends time with the Regional Food Bank and OK Foster Wishes. 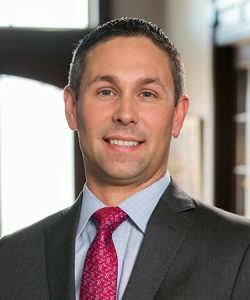 The last year has been a milestone for Klingler, who became a partner at McIntyre Law. Outside work, she participates in OrangeTheory and Cycle Bar and loves spending time with friends and family. 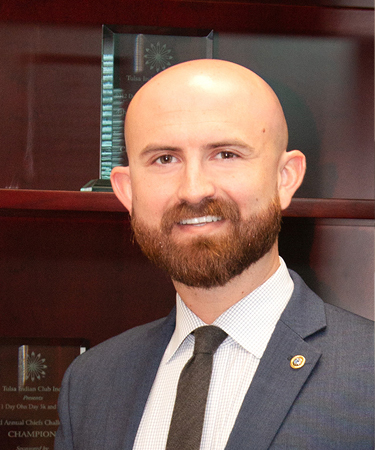 Tim Roberts is all about taking commerce global as he heads up the Cherokee Nation Businesses’ strategic initiative to expand its federal contracting practice overseas by managing 150 professionals working in more than 25 countries. “My job is to lead our team as we continue to prove to our federal government customers that we can execute projects and programs at a high level, anywhere in the world,” he says. Roberts says the Cherokee Nation’s determination and work ethic are unmatched. “The federal government now comes to the Cherokee with some of their toughest problems because they know we will take them on as our own and find a solution,” he says. “We adapt, overcome and refuse to fail.” From putting the Nation’s talent on display around the world to positively impacting the U.S. economy, Roberts says he has a “dream job.” In his free time, Roberts volunteers with the Tulsa Humane Society and the Research Institute for Compassionate Economics, which produces “critical research that will drive better outcomes for impoverished families throughout rural India.” Roberts enjoys the outdoors, spending time with his family and hanging out at Tulsa’s ever-growing list of breweries. “There’s never been a better time to live in Tulsa, and I feel like there’s plenty to do around town,” he says. 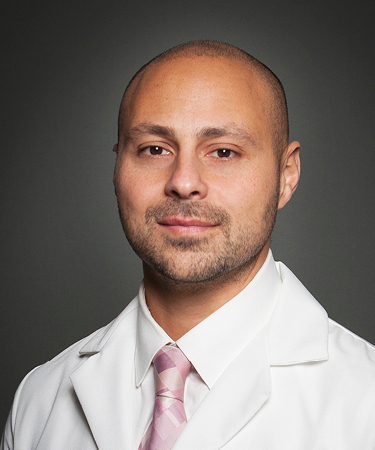 Tommy Ibrahim, M.D., leads the INTEGRIS physician and medical staff. He makes the major decisions regarding the strategic direction for clinical services throughout the health system, including clinical excellence, quality and patient safety objectives. “I love the magnified impact a group of committed leaders can have on the health of the community,” he says. 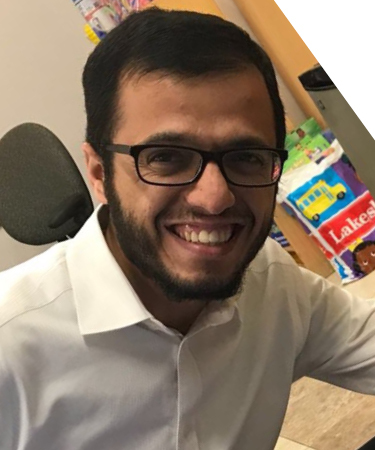 “I am inspired every day by the people and the physicians of INTEGRIS who bring energy and passion to our work and deep-rooted focus on the patients and families we are privileged to serve.” After a negative health-care experience as a teenager, Ibrahim decided medicine was his future. 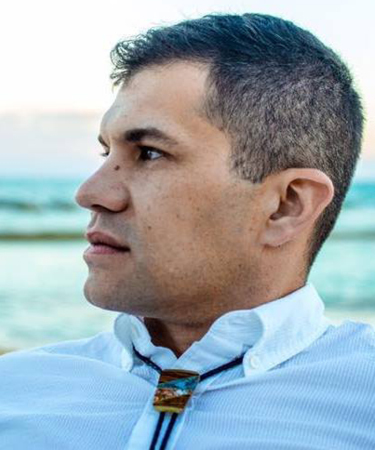 “Coming from a long line of business and engineering ancestry, the nonconformist in me opted to go in a completely different direction,” he says. 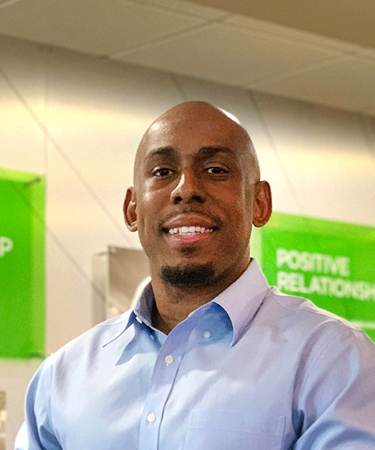 Patients are at the core of Ibrahim’s passion; he says that when patients reach out to thank him, it “always grounds me and connects us to our purpose.” Ibrahim is a fanatic of the outdoors, where he enjoys spending time with his wife and kids. He volunteers at his church, serves on several community boards and is passionate about those affected by autism. Brian Busey helms the ship at Delaware Resource Group, a global aerospace defense contractor. 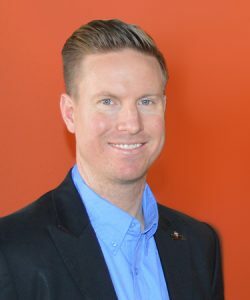 Along with overseeing the company, managing contracts and communicating with partners and clients, Busey works to ensure the company continues to grow. “With operations around the globe, I have a host of daily items that need attention in order to support our team members in each of our locations that are training and/or supporting our customers,” he says. Busey became involved in the global aerospace defense industry thanks to his father, who offered him a job at Delaware as a human-resources representative right out of college. “Forty-eight hours later, I was headed down I-40 East, back to Oklahoma City with all of my belongings,” he says. “I left Weatherford on a Thursday, started work the next Monday. The rest is history.” Philanthropy is a major part of Delaware; the company founded a charity called El Sistema Oklahoma, an “after-school program in the Oklahoma City public schools, where children are bused to an after-school location and learn to play instruments. The program now has over 200 children,” he says. Busey stays on-brand outside the office by collecting model airplanes. “Over 25 and counting,” he says.